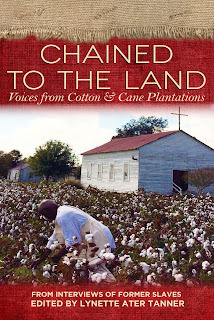 Chained To The Land: Voices From Cotton and Cane Plantations From Interviews of Former Slaves, Lynette Ater Tanner, editor, John F. Blair, Publisher, 2014, photographs, maps, 2014, $9.95. During the Great Depression, the Federal Writers' Project interviewed over 2,200 ex-slaves who lived in 17 states. Most of those interviewed were in the eighties, nineties and a few over 100 years old. Interviews in this book are of Louisiana slaves who worked in a legal environment of state laws of a French tradition. Many of these interviews are not found in the Library of Congress' collection; they are held in the Northwestern State University Archives in Natchitoches, Louisiana. The Writers' Project in Louisiana was directed by Lyle Saxton. Most of the former slave narrations in this volume were kept in Natchitoches at Melrose Plantation, owned by Cammie henry, who donated the items to the state archives. Within the book are a few Louisiana slave interviews that are housed by the Library of Congress. The slaves recollections of housing, food, clothing, weddings, funerals, and relations contain anger, joy, sadness, religious practices and wit. The slaves hailed from eight distinct regions including New Orleans. The collection offers not only memories of the work-a-day world of slavery but also reflections of the personal ties that were found in slave families and church congregations. Interviewees who were children during the Civil War reflect on the loss of fathers who fought with the Federal army, the significance of Abraham Lincoln, and the variety of masters that existed during the era of slavery. 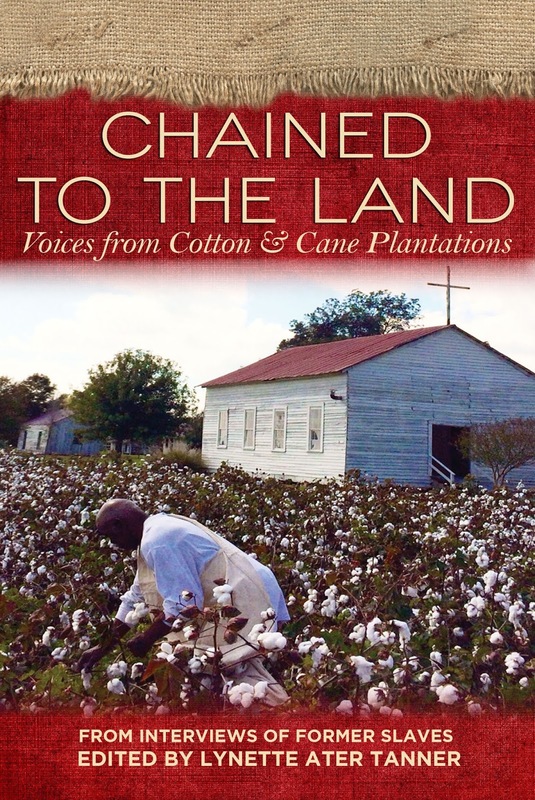 Chained To The Land: Voices From Cotton and Cane Plantations From Interviews of Former Slaves is accessible to most readers and may be used in both classrooms or living rooms.